There have been some bargain buys at Wolverhampton Wanderers over the years. Nothing will surely ever beat the £65,000 paid for Steve Bull Bull and Andy Thompson back in 1986 (more than 1,000 combined appearances and 351 goals with 24 years' service, thank you very much). Others that spring to mind in recent decades are £25,000 for Michael Kightly from Grays Athletic, or free transfers for Sam Ricketts and Ryan Bennett. Joao Moutinho is even making £5m look like a bargain. But since money went bonkers in the new century, how about £75,000 for Matthew James Doherty from Bohemians to Wolves in 2010? It's taken a little while and his progress has been in the marathon mould, rather than a sprint, but the Irishman is probably enjoying the finest season of his career. And he's doing it in the Premier League. This is a player who, just five years ago, wasn't a guaranteed starter in League One. Doherty played just 18 times in the league for Kenny Jackett's title winners – and it was only really in 2015/16 that his Wolves career finally took off. Ironically it was a switch to left-back to cover for Scott Golbourne's departure to Bristol City that engineered a fabulous run of form in the second half of that season, earning him the player of the year award, via a series of gallivanting displays down that left flank. 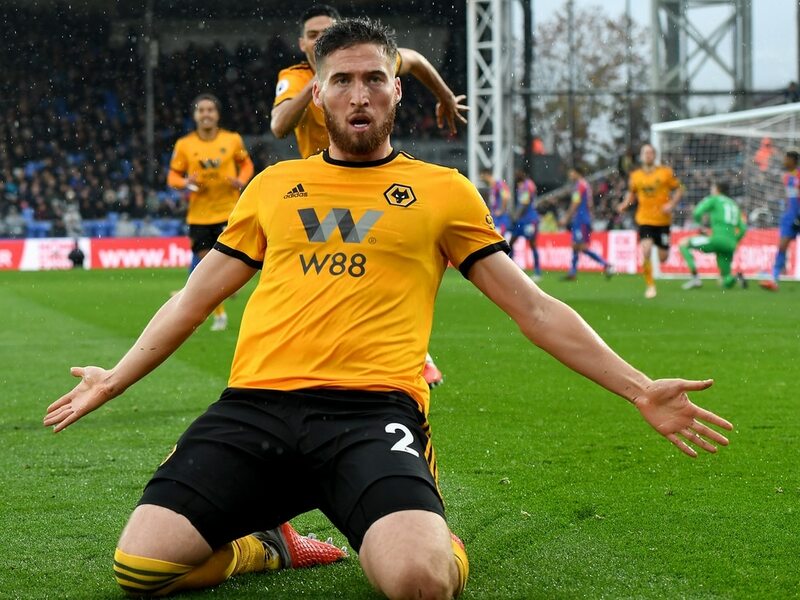 He stayed there for the majority of 2016/17, too, before another switch to right-wing-back under the tutelage of Nuno Espirito Santo has seen Doherty take his game to a new level. And this season, aged 27, he's got even better, making that right flank his own. Defensive mistakes have been rare, goals and assists have been plentiful and he's being rightly classed as one of the best right-backs/wing-backs in the Premier League. Six goals and six assists in all competitions is a fine return. No Premier League defender has scored more goals. And in terms of 'goal contributions' Doherty's total of 12 is the same number as £50m man Richarlison, or Manchester United's Anthony Martial. It's one more than Paulo Dybala (11) and Olivier Giroud (nine). Consistent performances week after week have quelled any suggestions he may not have what it takes at the top level. On the contrary, he's thriving. He's even managed to break into the Ireland team (!) where he will surely now flourish under his old boss Mick McCarthy. It was McCarthy who spotted Doherty playing in a friendly for a youthful Bohemians side against Wolves in a friendly. Doherty was still fitting carpets with his dad Tom, turning out for Bohemians Under-21s. With the senior Bohemians side playing the day before that Wolves friendly Doherty got a chance to play 55 minutes, marking Matt Jarvis. It was enough to convince McCarthy to sign him shortly afterwards. "He's steady and does his job," McCarthy said, while also picking out Doherty’s maturity for his age at 19. A number of his successors would say the same. Former team-mate Sylvan Ebanks-Blake saw Doherty's potential at an early age and believes it's his mental strength that has seen him 'completely transition' to the player he is now. A player Ebanks-Blake says epitomises a modern footballer. "Doc's always had natural ability, that was never the issue, it was about his work ethic, managing his weight and his injuries," Ebanks-Blake told the Express & Star. "I wasn't sure he had the mental strength to overcome all that and become a top player, but he has. "His mental strength has got him to where he is, because his ability was never in question. "When he came over from Ireland he was always a 'cool' full-back, he's cool as a cucumber, he could find the cross, score a goal, lash balls in, real comfortable. "The fitness he's got himself to so he can play the position he plays in is amazing. I'm so happy for him. "When I was training at Wolves the kids would come over in their red kits – we used to call it the red mist – and Doc would stand out all the time." 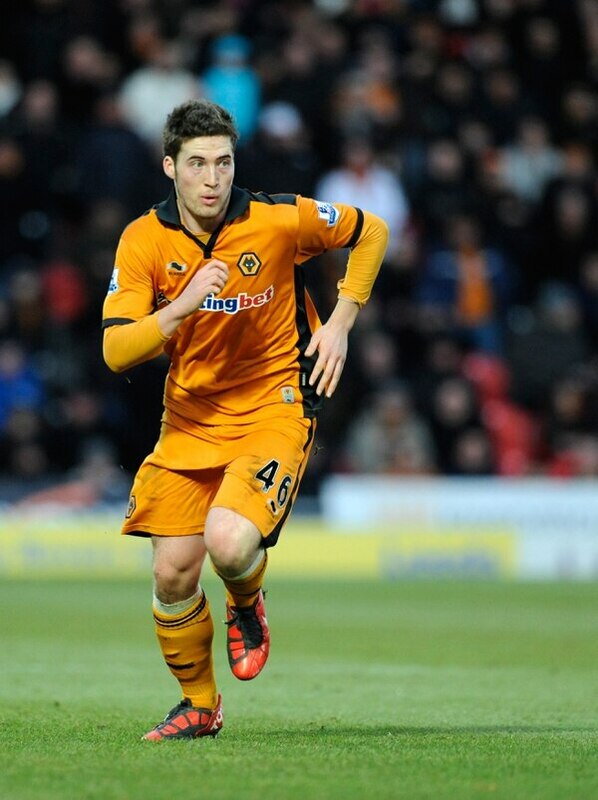 Wolves paid £15million to buy Spanish international Jonny Castro Otto last month. What would Doherty be worth now? An online poll, admittedly of Wolves fans, saw 72 per cent value him at being worth at least the same amount. "Doc can be whatever he wants to be and could play for any team he wants to play for, depending on how far he wants to take it," Ebanks-Blake added. "He's a modern day football player, forget a full-back, just a proper player. "Some days he looks like he's not bothered! He'll give the fans a couple of claps and walk in. "But this guy is so mentally strong and dedicated." For all Wolves’ creativity and technical brilliance, the likes of Doherty underpin their success. Yes he may not lob his shirt into the away end, get down on his knees and salute the fans, but so what? He gets the job done – and does so with minimal fuss and doesn't chase adulation. In 2019 that's a refreshing approach. Instead, Doherty stays on an even keel, he's unflappable, laid back and takes things in his stride. And that mental strength Ebanks-Blake talks of has played a key role in his success this season. After a horror show at Leicester back in August when Doherty scored an own goal, missed a sitter and went off injured he, by his own admission a couple of weeks later, doubted whether he was going to be good enough in the Premier League. The following week he and Wolves took on Manchester City at Molineux and Doherty was back to his normal self. "It is quite refreshing in the modern game that we have players who can rely on their ability not only by promoting or projecting themselves," Sir Alex Ferguson once said of the quiet, self-effacing unsung hero of his team. The man he was referring to at the time? Denis Irwin, arguably Ireland's best ever full-back. Irwin was regarded by Sir Alex, and thousands of Old Trafford regulars, as the best signing of his long reign. The rate he's going, Doherty's £75,000 switch from Bohemians will be remembered as one of the greatest transfer deals in Wolves' modern history.